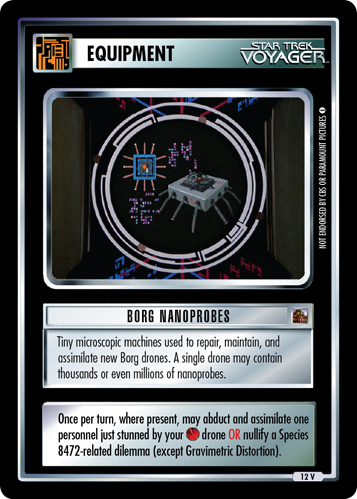 Submicroscopic robots saturating a Borg's bloodstream. 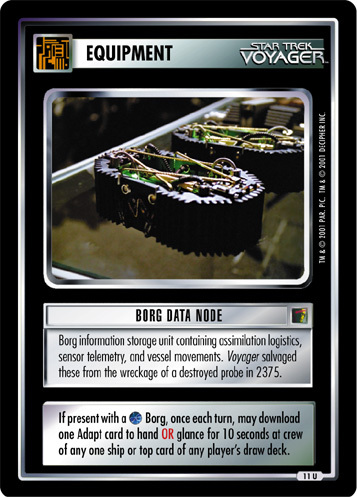 Injected into potential new drones, beginning their assimilation. 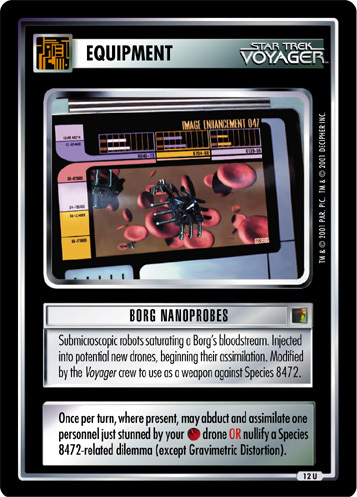 Modified by the Voyager crew to use as a weapon against Species 8472. 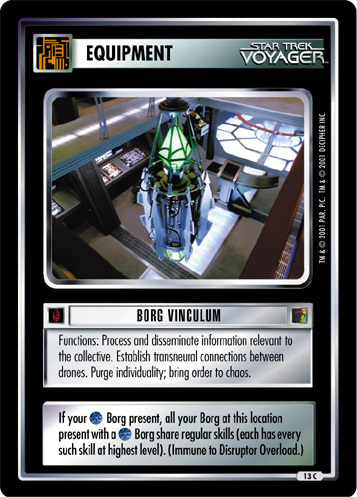 Once per turn, where present, may abduct and assimilate one personnel just stunned by your drone OR nullify a Species 8472-related dilemma (except Gravimetric Distortion).